1. All commercial transactions between the private company with limited liability “MOBIETEC”, with its registered office at Hille Zuid 3, 8750 Zwevezele, Belgium, with VAT number BE 0877.841.090, Register of Legal Entities of Bruges (hereinafter “MOBIETEC”) and the client are governed by these general terms and conditions. hereinafter jointly to be called the Terms and Conditions. By placing an order, the client acknowledges that he has taken note of the Terms and Conditions and accepts them. The Terms and Conditions always take priority over the client’s terms and conditions, even if the latter stipulate that they are the only ones that apply. Any nullity of one or more clauses from these Terms and Conditions shall not affect the validity of all the other clauses. If one of the clauses becomes null and void, MOBIETEC and the client shall as far as is possible and in accordance with their loyalties and convictions, negotiate to replace the null and void clause by an equivalent one in the spirit of these general Terms and Conditions. MOBIETEC reserves the right to adapt or amend its Terms and Conditions at any time. 2. An offer/price list provided by MOBIETEC is entirely free of obligation and can only be seen as an invitation for the client to place an order unless the contrary is explicitly stated. The price, description, and properties of the goods are only indicative. MOBIETEC is entitled to make technical changes that are necessary to the goods without the client being able to derive any rights from this. Offers only comprise the goods and work that are explicitly stated in them, to the exclusion of additional work as a result of a change in the order by the client, unforeseen circumstances or any other reason whatsoever. Non-functional differences between specifications and quality statements and the actual execution of the goods delivered do not entitle the client to any compensation, in any form or for whatever reason. 3. An agreement is not concluded until confirmation of the client’s order in writing or by e-mail by a person authorised to bind MOBIETEC. Any changes or additions to the order after its conclusion are only valid after written agreement from both parties, amongst other things with regard to the price, the terms of payment, terms of execution, etc. If the client stipulates additional specifications, legal or other requirements or terms after an agreement is concluded, all the costs ensuing for MOBIETEC as a result of this shall be charged to the client. The price of the changes or additions shall be calculated on the basis of the factors that determine the price that apply when the changes or additions are agreed upon. In case of cancellation of an order or purchase, even in part, MOBIETEC reserves the right to charge the client for damages amounting to 25% of the price of the cancelled order or purchase with a minimum of five hundred Euros (€ 500.00), without prejudice to MOBIETEC’s right to compensation of higher proven damages, but not limited to the cost of the materials or goods ordered. 4. MOBIETEC retains the copyrights and all intellectual rights to the documents , templates, technical specifications, plans, drawings, models, samples or photographs it makes regardless of whether the client was charged for the costs of their production. This information may not copied, used for purposes other than they are destined or shown to third parties as long as they have not been made public by MOBIETEC without prior, written permission from MOBIETEC and they must immediately be returned to MOBIETEC on request. MOBIETEC has the right to use them for publicity purposes without owing the client any compensation. Any violation of this paragraph by the client shall give rise to payment of fixed damages equal to 50% of the price of the goods or services without prejudice to compensation of higher proven damages. 5. The expected delivery date indicated is always an approximation. Exceeding the planned date shall in no case lead to a fine, damages, substitution or dissolution of the agreement at MOBIETEC’s expense. Nor will a delay in the delivery lead to cancellation of the order. A delivery that is inadequate or incomplete cannot justify withholding or delay in payment of the sums owed. Any changes to the order shall automatically void the delivery terms indicated. MOBIETEC is never liable for delays incurred as a result of defaulting by the suppliers of MOBIETEC, the client or any other third party. Exceeding the term of delivery does not relieve the client of his obligations. 6. Any unavoidable circumstances that could not reasonably be foreseen when the agreement was entered into that make it impossible for MOBIETEC to execute the agreement or that make execution of the agreement more difficult financially speaking or otherwise than is normally speaking foreseen (such as but not limited to war, weather conditions, fire, seizure, delays due to or the bankruptcy of suppliers, illness, shortage of personnel, strikes, lock-outs, late shipment, changes to customs tariffs, conditions within the company, the client failing to provide MOBIETEC with the necessary information for the execution of the order, receiving incorrect information, the delivery of insufficient or unsuitable raw materials by the client), shall be deemed cases of force majeure. They entitle MOBIETEC to request that the agreement be revised, suspended and/or dissolved by sending a notification in writing to the client, without MOBIETEC owing any compensation. 7. Goods are always delivered EX WORKS (Inco terms 2010) the MOBIETEC company premises unless explicitly agreed to the contrary. The transfer of risk with regard to the goods shall transfer at the time of delivery of the goods. Any costs relating to receipt of the goods shall always be borne by the client. 8. On delivery of the goods, MOBIETEC shall hand the client or place at the latter’s disposal the necessary copies of the Warranty Provisions, the User Manual and the Installation Instructions relating to the goods delivered and/or installed. The client has the obligation to ensure that a copy of these documents is always present in the vehicle on which the goods were installed. 9. If it is agreed that the client shall install the goods bought from MOBIETEC himself or shall have it done by a third party, this shall occur on the full responsibility and full risk of the client. In that case, MOBIETEC cannot be called to account for direct or consequential damage resulting from the placement/installation. The client shall carry out an initial verification immediately on collection or delivery. This obligation to carry out immediate verification relates to amongst others: (non-exhaustive list) type, size, content of the packages, conformity of the delivery, visible shortcomings, correct location(s), etc. The client shall inform MOBIETEC in writing of any immediately verifiable deviations within 48 hours of collection or delivery and in any case before use or assembly on pain of nullity. MOBIETEC’s liability is limited to the replacement, repair or subsequent delivery of missing or faulty goods. 10. 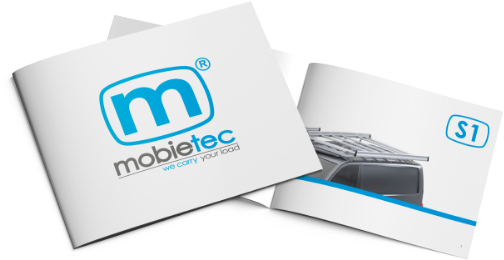 If it is agreed that MOBIETEC shall assemble the goods, then MOBIETEC accepts liability only for the assembly of the goods in as far as the client ensures that the assembly location can be accessed normally and that all the information, facilities and/or local circumstances are prepared by the client in such a way that nothing can occur that will hinder correct assembly. the assembly place indicated is properly lit and suitable for the assembly of the goods; If the start or progress of the assembly of the goods is delayed by factors for which the client is responsible, MOBIETEC shall charge the client all the ensuing costs (such as but not limited to pointless transport costs and waiting times longer than half an hour). the client does not approve the assembly due to small shortcomings or missing parts that do not hinder the goods being taken into use. 11. If damage is caused by MOBIETEC’s employees during assembly, the sum of that damage may never be deducted from the invoice to be paid. MOBIETEC’s insurance company shall handle any further settlement. Any claim for damages must be sent to MOBIETEC by registered letter within 24 hours of execution of the work that gave rise to the damage. 12. A warranty is given on the goods delivered as described in the Warranty Provisions. All complaints on the grounds of hidden defects or non-conformity must be made within 48 hours of their discovery to MOBIETEC in writing by the client. No claim for indemnity by MOBIETEC for hidden defects or non-conformity can remain after expiry of the periods stipulated in the Warranty Provisions or the aforementioned notification period. On discovering any shortcoming, the client is obliged to immediately stop all further use or assembly of the goods in question and then do everything reasonably possible to prevent (further) damage. The client is obliged to grant every cooperation desired by MOBIETEC to investigate the complaint, including giving the MOBIETEC opportunity to begin an investigation into the circumstances of manufacture, handling, installation, and/or use. Any returns of goods delivered by MOBIETEC must first be approved in writing by MOBIETEC. If there is no such approval, any returns will be refused and any costs arising from this shall be charged to the client. In general, MOBIETEC is not held to any warranty or liability if the client does not comply with the Terms and Conditions or does not do so properly or on time. If the client proceeds to disassemble, repair or do other work to the goods or has it done without prior, written permission from MOBIETEC, any claim under warranty becomes null and void. The client is not entitled to suspend fulfilling his payment obligations because he has lodged a complaint. He is obliged to remunerate costs made as a result of unjustified complaints. crediting of the goods to the client cursed with a defect, whether or not the goods are taken back (at MOBIETEC’s discretion). 13. With the exception of the indemnity given by MOBIETEC in accordance with the warranty provision above, any liability of MOBIETEC is limited to the invoice value of the goods delivered by MOBIETEC and in any case is limited to the imperative, statutory liability. In no case is MOBIETEC obliged to remunerate consequential damage (such as but not limited to loss of profits or damage to third parties). Nor is MOBIETEC liable for defects that are caused directly or indirectly by an action by the client or a third party, regardless of whether they are caused by observing the Terms and Conditions, an error or negligence. Allocation of the goods by the client himself or by a third party shall occur entirely at the client’s responsibility and risk. In that case MOBIETEC cannot be held accountable in any way for direct or consequential damage ensuing from this allocation. 14. MOBIETEC reserves the right to legally dissolve the agreement without notice of default, if the client fails to fulfil his obligations or if faith in the client’s creditworthiness is shaken due to acts of judicial administration and/or other events that make confidence in the proper execution of the obligations questionable and/or impossible, without MOBIETEC’s right to damages and interest. 15. Except where explicitly stated to the contrary, MOBIETEC’s prices are excluding VAT and other taxes as well as excluding delivery, transport, travel, insurance and administration costs. Replacement of missing materials by others, changing supplier(s), as well as fluctuations in exchange rates, increases in the prices of materials, the prices of auxiliary materials and raw materials, wages, salaries, social security contributions, costs imposed by the government, taxes and lev ies, transport costs, import and export duties or insurance premiums that occur between the order confirmation and the delivery shall entitle MOBIETEC to increase the price agreed upon accordingly. MOBIETEC furthermore reserves the right to ask the client payment in full or a bank guarantee before proceeding to execute the agreement. If the client refuses to comply with this, MOBIETEC reserves the right to cancel the order in full or in part, even if the goods have already been shipped in full or in part. 16. Unless agreed to the contrary, all MOBIETEC’s invoices are always payable in full in cash on the invoice date at the registered office of MOBIETEC without any discounts. The client explicitly agrees that MOBIETEC may also send its invoices by e-mail. Invoices can only be protested in writing by means of a registered letter sent within 5 days of the invoice date, stating the invoice date, invoice number and giving a detailed motivation. For each invoice that is not fully paid on the due date, interest due to late payment shall be legally charged without prior notice of default at a rate of 1% per month of payment arrears, whereby each month commenced shall be deemed a full month and in addition the sum owed shall be increased by any collection costs of MOBIETEC relating to the collection of the debt as well as by 20% of the invoiced sum, with a minimum of EUR 65 (ex. VAT), as fixed compensation, without prejudice to MOBIETEC’s right to demand higher compensation. If a client remains fails to pay one or more outstanding sums to MOBIETEC, MOBIETEC reserves the right to immediate stop any delivery or execution and without any notice of default deemed the other orders cancelled in which case the fixed damages as stipulated in point are owed. In addition, this is accompanied by all other invoices, even those that are not yet due, becoming payable and any terms of payment permitted becoming null and void. The same applies in case of an impending bankruptcy, judicial or amicable dissolution, requests under the Company Continuity Act, suspension of payment, as well as any other fact that points to the client’s insolvency. The unconditional payment of part of an invoice always entails the explicit acceptance of the invoice. Payments on account are accept subject to reservations and without any negative acknowledgements and shall first be attributed to the collection costs, then to the damages, the interest due and finally to the principal, whereby priority is given to the oldest outstanding principal. 17. In accordance with the provision s of the Financial Security Act of 15 December 2004, MOBIETEC and the client automatically and legally compensate and offset all current and future claims on each other. This means that in the permanent relations between MOBIETEC and the client only the largest claim on balance will remain after the aforementioned offsetting. This offsetting shall in any case have legal effect with regard to the receiver and the other concurrent creditors, who will not be able to protest the offsetting carried out by the parties. 18. The goods delivered by MOBIETEC shall remain the property of MOBIETEC until the client pays the amount owed (principal, interest and costs) in full. As a result, the client is forbidden to sell the goods, pledge them to a third party or dispose of them in any way until the price has been paid in full. In case of non-compliance with the stipulation, client shall owe fixed damages of 50% of the sum owed. If the goods are sold to a third party anyway, the right to the ensuing sales price shall replace the right to the goods sold. Parties agree that the different transactions/contracts between them shall be considered part of one economic entity and that MOBIETEC always has a retention of title to the goods in the possession of the client at that time as long as the client has an outstanding debt to MOBIETEC. 19. The client gives MOBIETEC permission to store personal information provided by the client in a computerised database. This information will be used with an eye to conducting information or promotion campaigns for the services and/or products offered by MOBIETEC within the context of the contractual relations between MOBIETEC and the client. The client can always ask to view and correct his personal information. If the client does not wish to receive any further commercial information from MOBIETEC, client shall inform MOBIETEC of this. Any costs of changing the client’s original information at his request shall be charged to the client. 20. The (repeated) non-utilization of a right by MOBIETEC can only be deemed acquiescence of a certain situation and shall not lead to limitation. 21. Any disputes arising from these general Terms and Conditions as well as from any other agreement entered into by and MOBIETEC and the client shall fall under the exclusive competence of the courts of the district in which MOBIETEC has its registered office, unless MOBIETEC decides that the courts of the district where the client has his registered office are competent. Belgian law governs this agreement with the exclusion of articles 1 through 4, article 40 and articles 89 through 101 of the Vienna Convention. 22. Unless explicitly agreed to the contrary, the client acknowledges that the language of these general Terms and Conditions is also the language in which all commercial transactions will occur with MOBIETEC. Translations or documents drawn up in another language are only offered as a facility for the client.